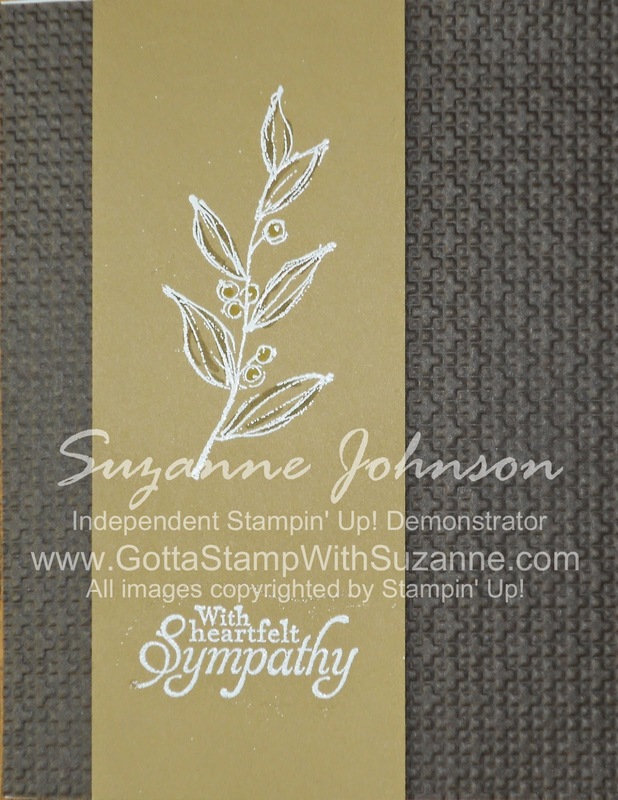 GOTTA STAMP WITH SUZANNE JOHNSON: LET'S START THE IN-COLOR PARADE! I think my favorite of all the In Colors is BAKED BROWN SUGAR! It is such a warm, soft, yummy brown that pairs with just about any color beautifully. Here are some variations of a card that features the Hostess set "Simply Sketched" - the point values for each card (see my previous post about the upcoming In Color event) are noted in the captions. 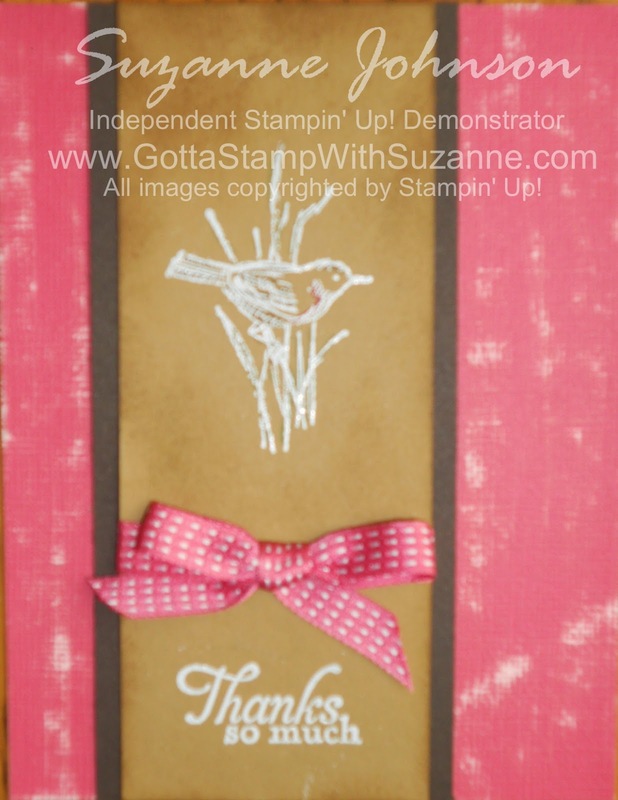 If you choose any of these cards for your project lineup at the stampcamp, you may also choose to mix and match the images and sentiments when you are here. So, choose based on the colors and layout. SIMPLY SKETCHED WITH EARLY ESPRESSO TEXTURED BACKGROUND. 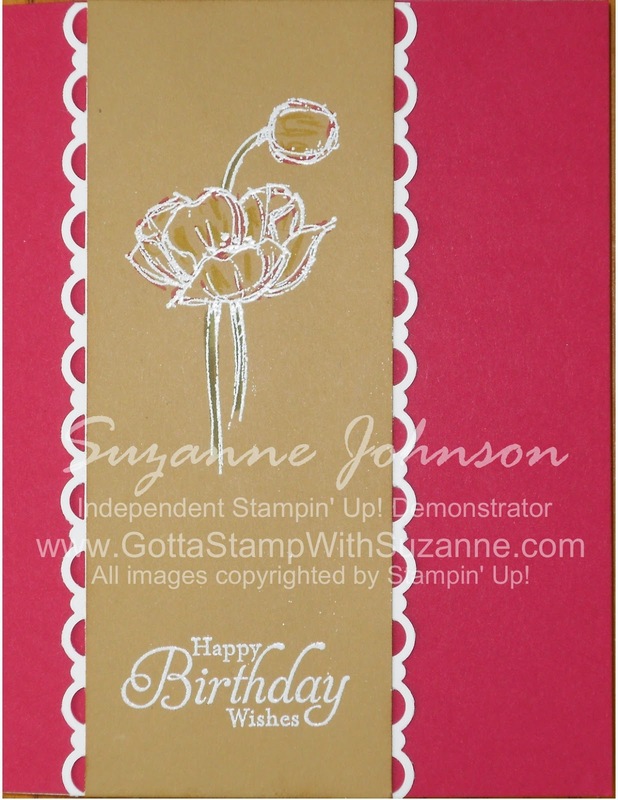 SIMPLY SKETCHED WITH SCALLOP TRIM (ON RASPBERRY RIPPLE BACKGROUND). 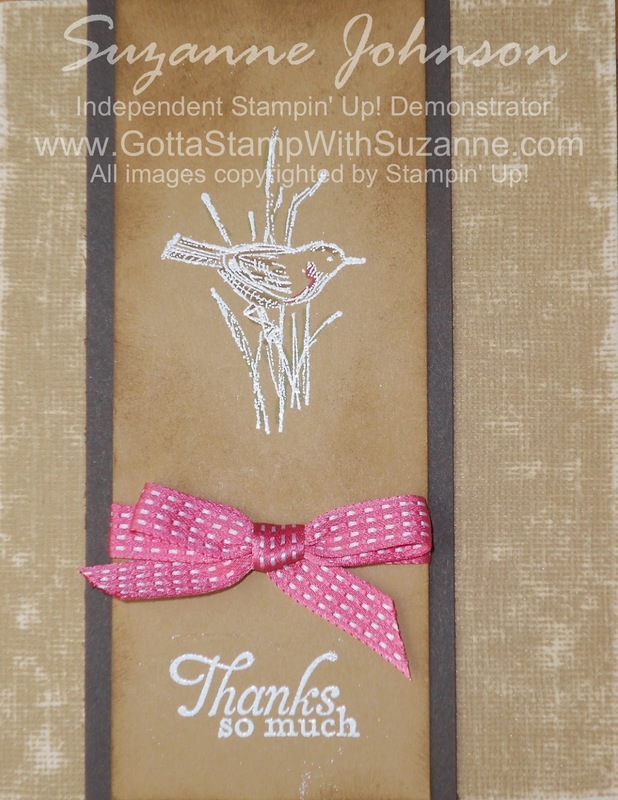 SIMPLY SKETCHED WITH BAKED BROWN SUGAR CORE-DINATIONS BACKGROUND & STITCHED RIBBON (other 2012-14 In Color ribbon colors available). SIMPLY SKETCHED WITH PRIMROSE PINK CORE-DINATIONS BACKGROUND & STITCHED RIBBON (other 2012-14 In Color ribbon colors available).